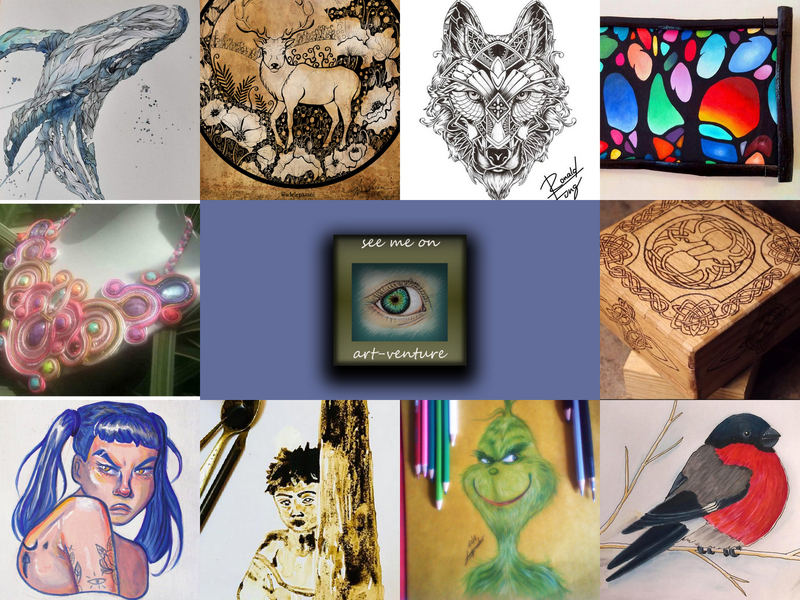 This is a project to support young artists of traditional Art on Steem. It is nice to issue our Magazine despite of hectic days of prepare for Christmas, nevertheless many of our Steemians Art Fans still working hard and posting so we are there for YOU and we are supporting your beautiful works. Today, we have two unusual Arts, first that caught our eye is the work done by @marleyn, she created an awesome necklace herself with her own pattern and her wonderful step by step tutorial will make any wish of any women true. Thank you for this DIY and of course you have our support! The next one is work done by @ratstomper, that is a wooden keepsake box, that he has done for Christmas, in his video you are able to see how he created everything from the beginning, choosing wood, cutting them to appropriate size, his picture that he first made of wood and then burnt it, this type of art is called Pyrography or pyrogravure. The pattern reminds a Celtic traditional pattern, that is why we love it very much. The rest of our selection are all awesome, so please enjoy the gallery and we would like to … Wish you Happy Christmas and nice family gathering!